We all know how Bitcoin is taking over the world. But the funny part is people still fail to understand what it is and why it has become such a revolution. Here are some of the facts we lined up – 9 Interesting Bitcoin Facts Every Bitcoin Owner Should Know – but there are more. Bitcoin is a fully functional digital currency through which any amount of value can be transferred anytime anywhere in the world and there is nothing one can do to stop it. If you get 0.1 BTC no more than 2% of the world's population can own more BTC than you. Once this dawns on enough people there will be a stampede to try to get even 0.1. Despite this, many remain clueless about this revolutionary internet money and the first thing they ask is How do I get Bitcoin? Or How do I get a Bitcoin address? Well, that’s what I am here to tell you and also to share some points so that you don’t get scammed. A valid Bitcoin address is like a bank account number using which you store your bitcoins and check your balances. For those who are seeing their Bitcoin addresses for the first time, I would say that it won’t look like traditional bank account number but instead, it looks like a long alphanumeric string starting usually with ‘1’ or ‘3’. And for those who haven’t seen a Bitcoin address and think of it as an email address, you’re wrong! P2PKH which begin with the number 1, for e.g. : 1BvBMSEYstWetqTFn5Au4m4GFg7xJaNVN2. P2SH type starting with the number 3, for e.g. : 3J98t1WpEZ73CNmQviecrnyiWrnqRhWNLy. Bech32 type starting with bc1, for e.g. : bc1qar0srrr7xfkvy5l643lydnw9re59gtzzwf5mdq. Now, that you have understood the types, format and what a BTC address looks like, it makes sense in talking about some of the reliable sources from where you can get your Bitcoin address if you haven’t already. You can simply take Mycelium wallet, for example, and follow this video tutorial to get your Bitcoin address. Hardware devices that act like Bitcoin wallets also generate valid Bitcoin addresses. This is a physical device like a small USB and something you should use if you planning to hold Bitcoins for a longer period. 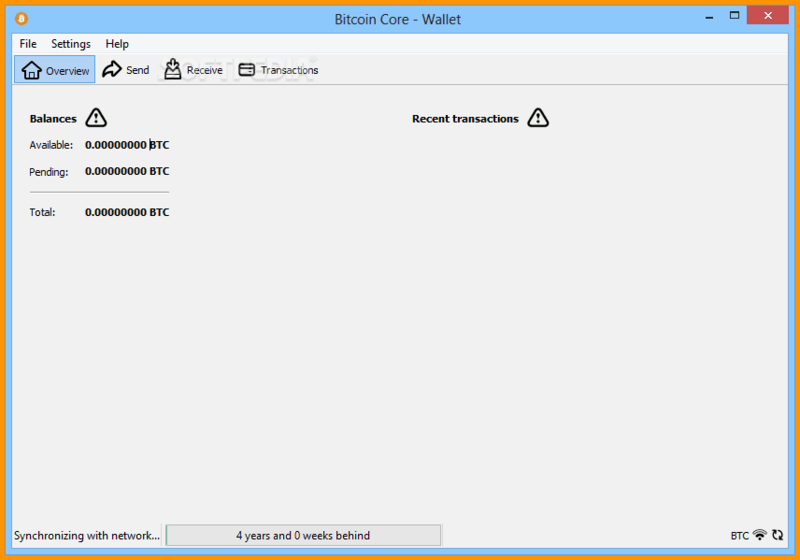 This is also useful for those who wish to have a permanenet Bitcoin wallet address. Watch this video tutorial to understand more about how to set-up your hardware wallet like Ledger Nano S to get your Bitcoin address. Paper wallets are another quick way of getting your Bitcoin addresses but this can be dangerous if you don’t know how to use paper wallets. 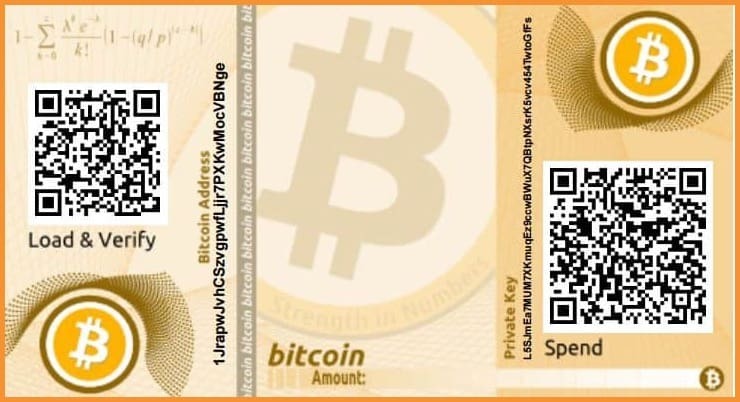 But if you still want to make a paper wallet for yourself, use this step-by-step guide: How To Make A Bitcoin Paper Wallet & How To Spend Bitcoins. Why Is BTC Address Important? A valid Bitcoin address is necessary because if you get this wrong, your bitcoins will be lost. If you send bitcoins to an invalid address, the bitcoins will be lost in the cyberspace or will remain with the sender. Another way in which you can get scammed is when you are using a paper wallet-based Bitcoin address which you have received from someone. In this case, let’s assume the person who has given you this Bitcoin address is an attacker and he has already kept a copy of the private keys associated with that address. And now you haven’t done a sweep of your paper wallet and are using the same address to receive your bitcoins. In this case, the attacker can take away all your coins once you have received coins on the address because he has a copy of the paper wallet private keys which are still valid because you haven’t swept. Plus, if you are into the online business, it is good to be in tandem with the modern changing society which is internet driven and have the BTC addresses to receive payments. Lastly, through a BTC address, you can actually take millions and billions of dollars with you across borders, something which was not possible before the invention of Bitcoin. You can sum up all your worth in bitcoins and get settled in another country all together with the help of a Bitcoin address. I’m sure you now know how you can get a Bitcoin address and why it is important to have one for yourself. Now you tell us: Are you into Bitcoins yet, or are you still thinking? Do you have a Bitcoin address? Do share with us in the comment section below. Any comments on Hedera/Hasgraph and it’s potential competitive impact on Blockchain?